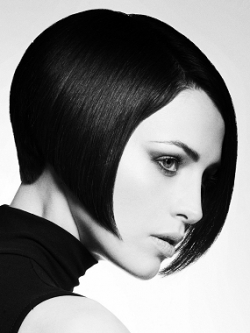 The bob was highly popular in the 1920s and has recently came back in style with gorgeous more modern styles. Take a glimpse at these bob hairstyles ideas so you can have a better idea about the best bob hairstyle for you. There are a variety of bob hairstyle ideas to choose from just because people have different face shapes which need to benefit from different cuts. Bob hairstyles are vintage hairstyles which have made a huge comeback due to their spectacular look and beneficial characteristics for a variety of face shapes. The new hair cutting techniques developed by talented hairstylists have made it possible for the bob hairstyles to receive a new and modern appearance. There are a variety of bob hairstyles to choose from, differentiated through length, cut and style. Women have been going crazy for this unbelievably stylish haircut as it is a hairstyle which helps create an adorable, stylish look that can be styled in just a few minutes. Blunt cut bob hairstyles are characterized by straight lines which give the bob hairstyle a precise definition. Blunt cut bob hairstyles help to beautifully frame the facial features attracting attention towards the face and the hairstyle. Blunt cut bangs are very popular and work beautifully with this type of bob hairstyle, so if you can pull off straight across cut bangs, don't hesitate to incorporate them into your bob hairstyle. The inverted bob is one of the most popular bob hairstyles as they look absolutely stunning and help create an innocent, sweetheart look with a little bit of mystery. The inverted bob has a slightly angled appearance as the hair is a bit shorter in the back and longer in the front. A number of celebrities opted for this bob hairstyle as it looks absolutely wonderful. 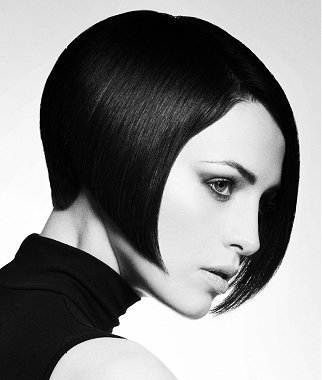 The asymmetrical bobs are modern bob hairstyles which are meant to attract attention through the interesting cut chosen. Asymmetrical bob hairstyles are cut just as the name suggests: asymmetrically, shorter on one side and longer on the other. This is a more modern version of the bob and one of the most memorable asymmetrical bob appearances was Rihanna's which seems has set the trend for this type of bob. Bob hairstyles are great hairstyles perfect for every occasion. They can be created on straight as well as curly hairstyles, making the bob one of the most versatile haircuts of the year. Adapt the bob hairstyle to your style and you will look fabulous.